If you follow me on my Social Media *please follow me if you haven't ^-^*, you might already know that couple weeks ago I went to Singapore for a beauty trip with Body Shop. This is not the first beauty trip I have ever experienced but this is the most excited one, since The Body Shop is my all time favorite brand. The Body Shop is the first skin care product that I used, the first brand my mom introduced to me during my puberty. I have been a loyal customers of The Body Shop since that time, either for their body product or skin care product. 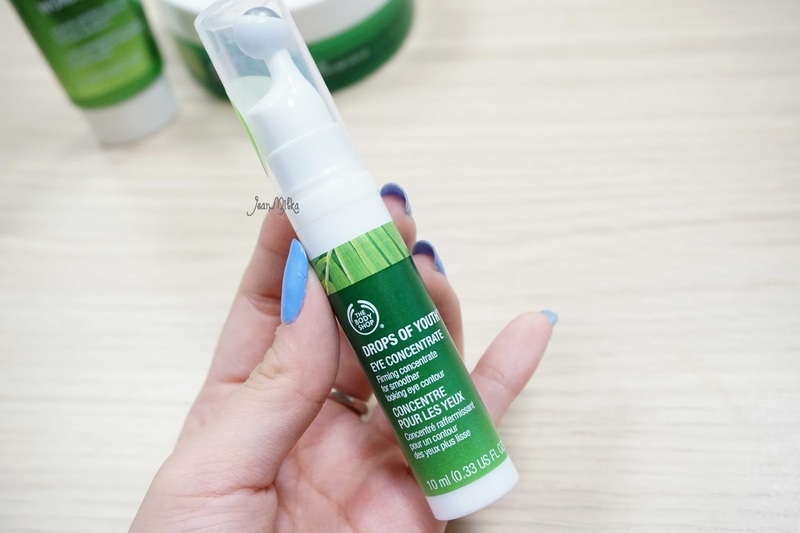 If you searching the keyword "jean milka the body shop review" on Google, you will find out that I reviewed quite some products from them. On our first day at Singapore, we visited The Body Shop International (Asia Pacific) office at Winsland House Singapore. If you think this going to be a boring scoop about Body Shop's Office, then I must say, you are sorely mistaken. Because surprisingly, They have a mock up of their real store in their office. 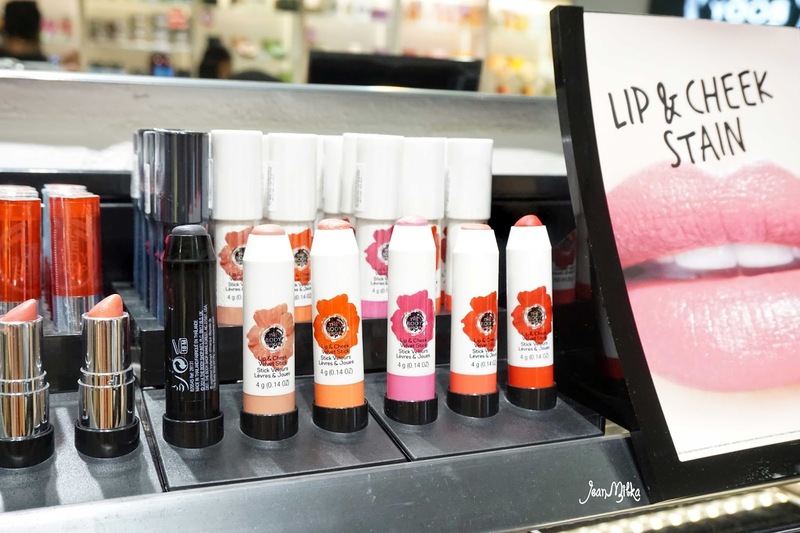 Not only looks like a real Body Shop's store, it's also have the new product that haven't launching to the market yet. This is where The Body Shop tested the store concept and product display before they applied it to all of their store. O.M.G.. if only I have chance to take everything I want from here... it would be amazing ^-^ *hello body shop.. I hope you hear my wish*. The Famous Body Shop Body Product, you know that The Body Shop is well known for their body butter right? Another favorite of mine, The Body Shop Tea Tree Oil. Full review is here. 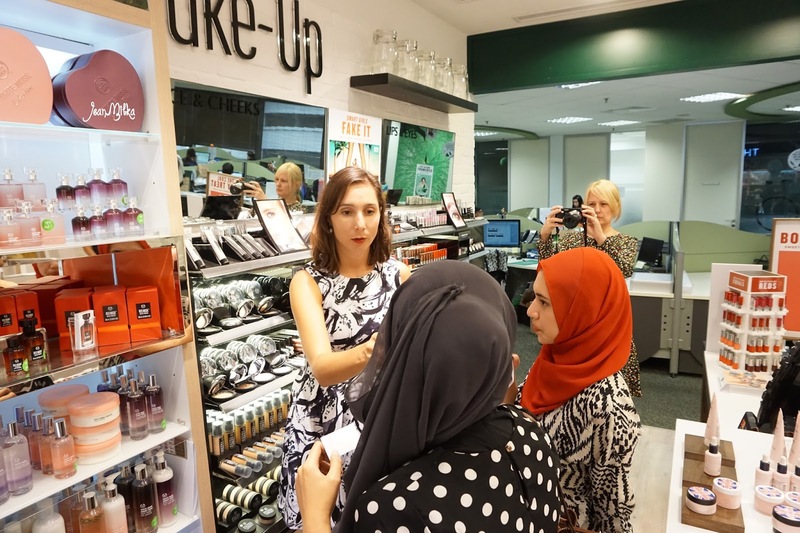 After our tour to the "store", Zahri, Training Manager from The Body Shop Singapore, explained the Youth of Drops skin care series in details to us. 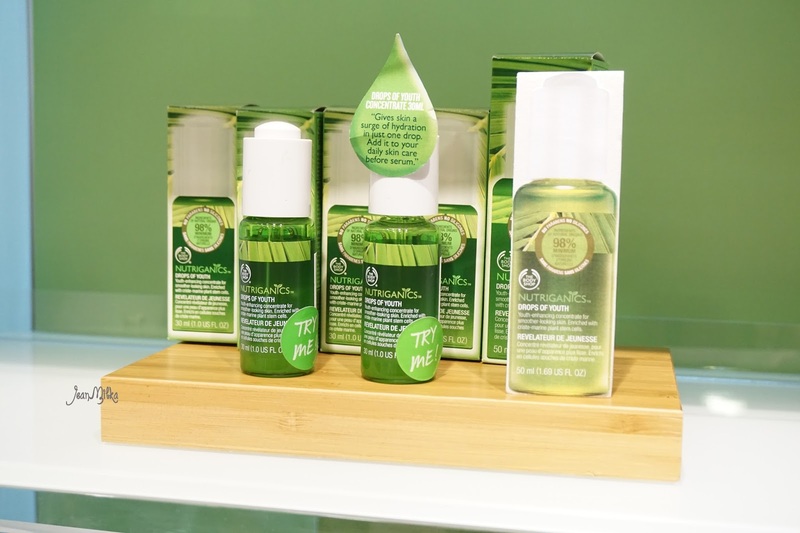 Drop of Youth is The Body Shop skin care series that specially made to fight the first signs of ageing. Enriched with Community Fair Trade Babassu Oil from Brazil, Drop of Youth series concentrated to enhanced skin surface, leaving it smoother and healthier. From all of the products you see in this picture bellow, I have only tried one of them which is the Drop of Youth Concentrate (pre-serum). I tried it since the first time it's launched in Indonesia and I have been using it until now. 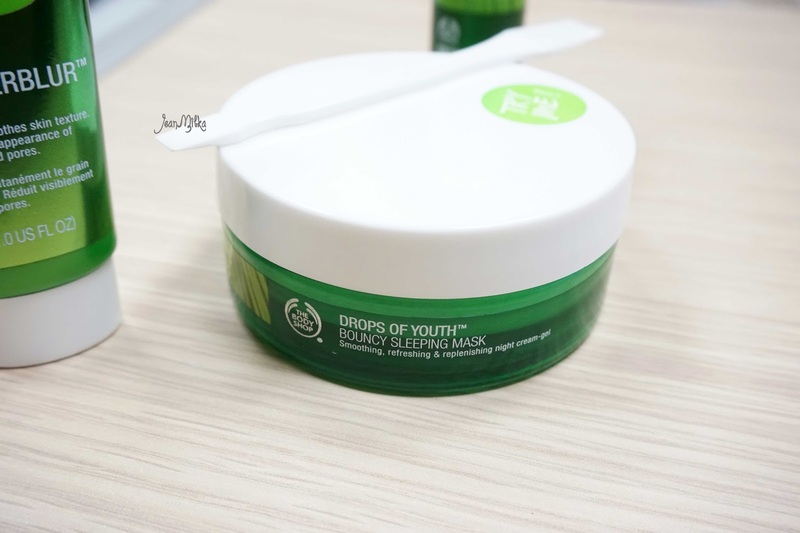 The second product that I planned to try next is the Drops of Youth Bouncy Sleeping Mask. Just like its name the texture is "bouncy". It has cream but also a gel texture.. hemm.. I can't describe it. Try it yourself if you pass The Body Shop Counter. You can whip it, and it will back to the original shape in no minutes. You can press it and it will bounce back. Such an interesting texture right? Another product that is not new but I have never heard before is Drop of Youth Eye Concentrate. This product is basically the same product with Drop of Youth Concentrate but specially created for eyes area. If Drop of Youth is a pre-serum, than this one is a pre-serum for eyes. Heemm... unique right? I never heard a pre-serum for eyes before. Since eyes area is the most delicate area of our face, pre-serum for eyes sounds promising to prevent fine lines. What do you think? 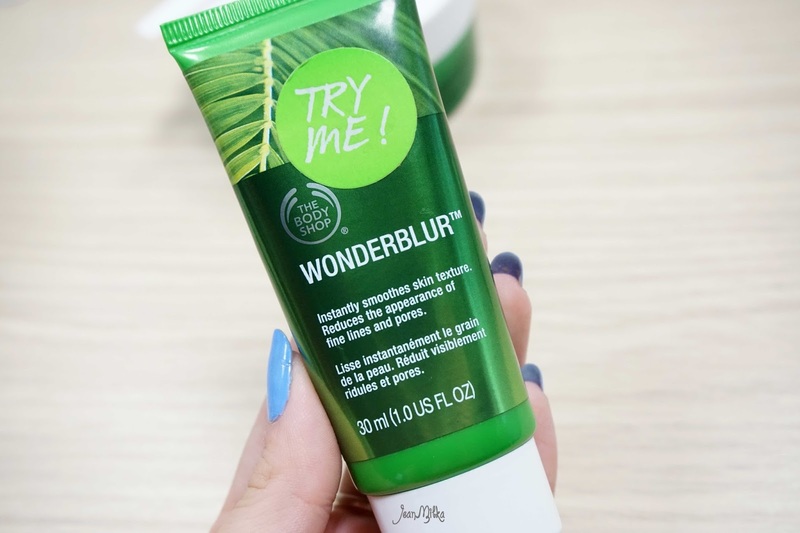 comment down bellow if you have tried this product, let me know what do you think of it..
Last but not least from Drop of Youth series is Wonderblur. 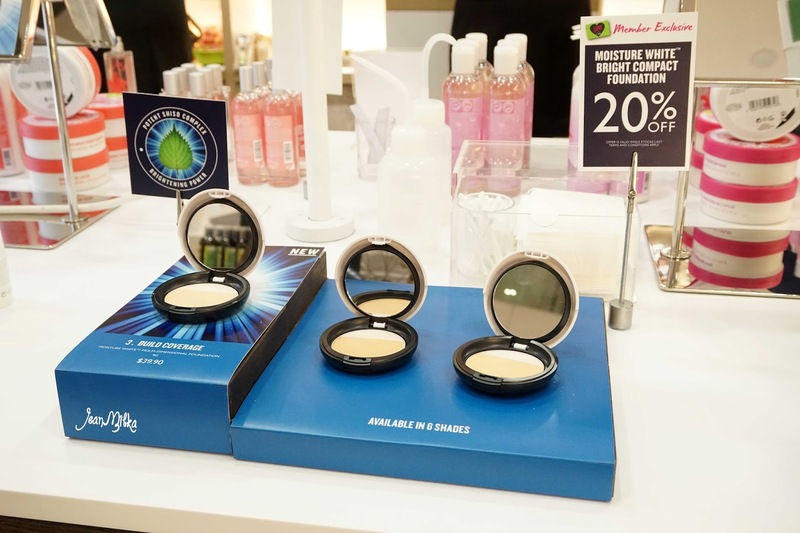 Hemmm... you might wonder what is the different between Wonderblur and Instablur.This two product basically minimize your pores appearance and create smooth surface for your foundation. But The Drops of Youth Wonderblur has more skincare benefits ( such as moisturisation, contains edelweiss) and the All In On One Instablur has more make-up qualities. I haven't try the Wonderblur so, I am so sorry I can't really differentiate this two product. Hopefully, I am going to make a comparison post in future. 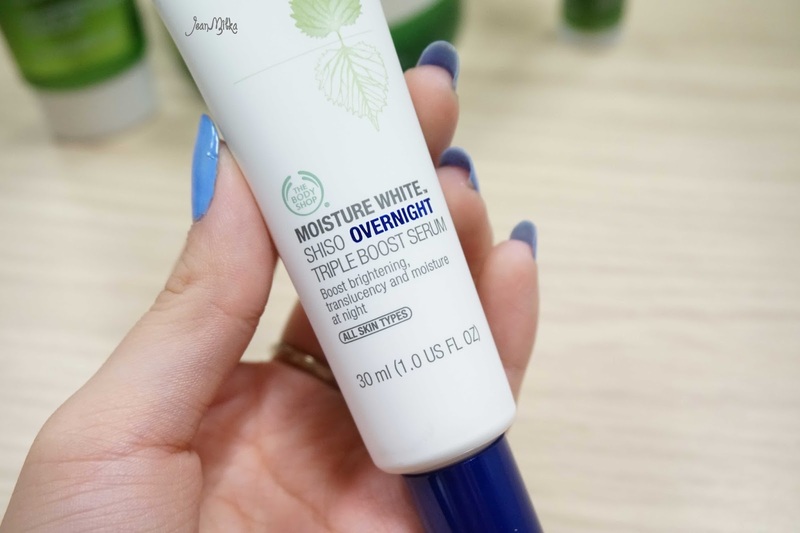 Another new product that Zahri introduced to us that is just launched on that day in Singapore is Moisture White Shiso Overnight Triple Boost Serum. It's a serum to even out your skin tones and. 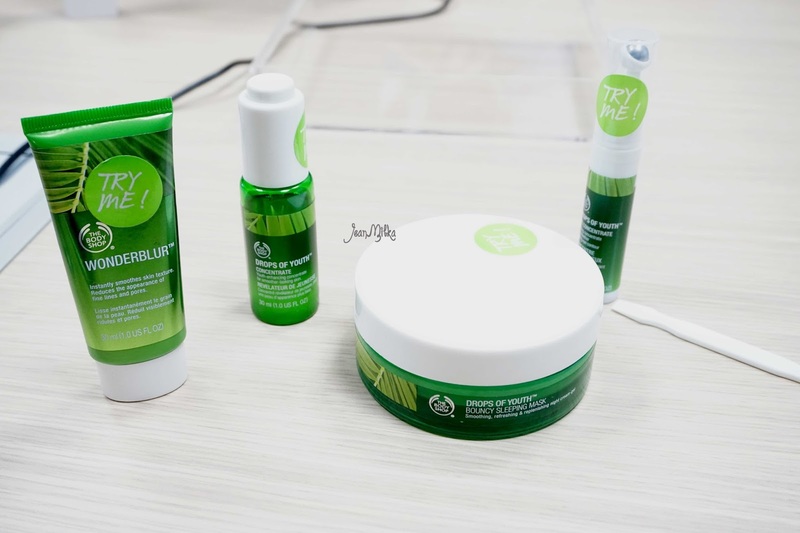 I heard from Public Relations Manager of The Body Shop Indonesia, Ratu Maulia Ommaya, this product will enter our market on August *if I am not mistaken*. I really want to get this product actually, but since I still have quite a lot of serum, for now it will just enter my "next-to-try" list. The Body Shop team not only introduce us to their product but also to the Values that always be the heart of The Body Shop Business. This is might not something that you notice. But Dame Anita Roddick, Founder of The Body shop, who is also a human right activist, she not only built a successful company, she is also give something back to the community from her business. 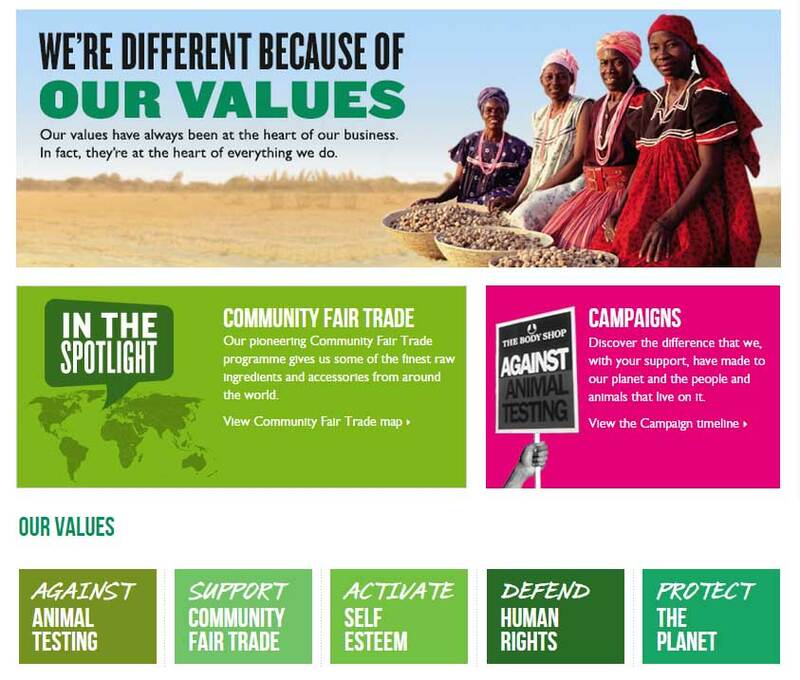 If you want to know more about The Body Shop Value, check this one. 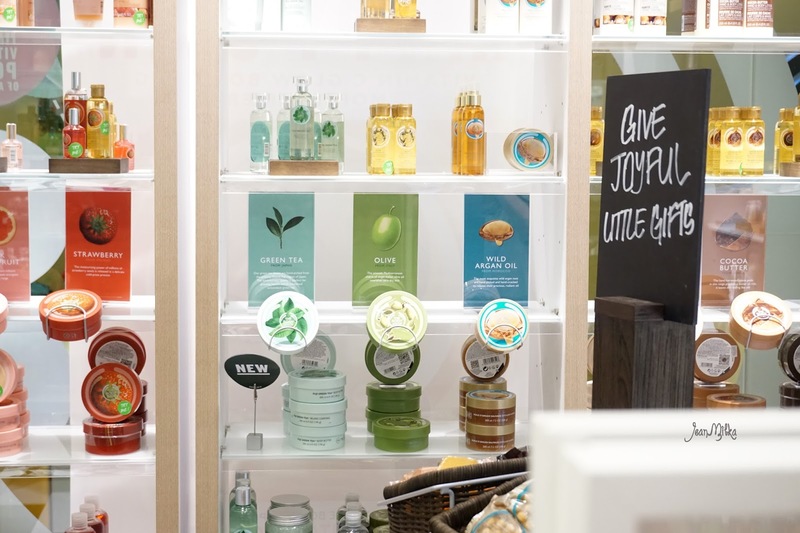 You will be amaze by the way The Body Shop run their company with such a great value. 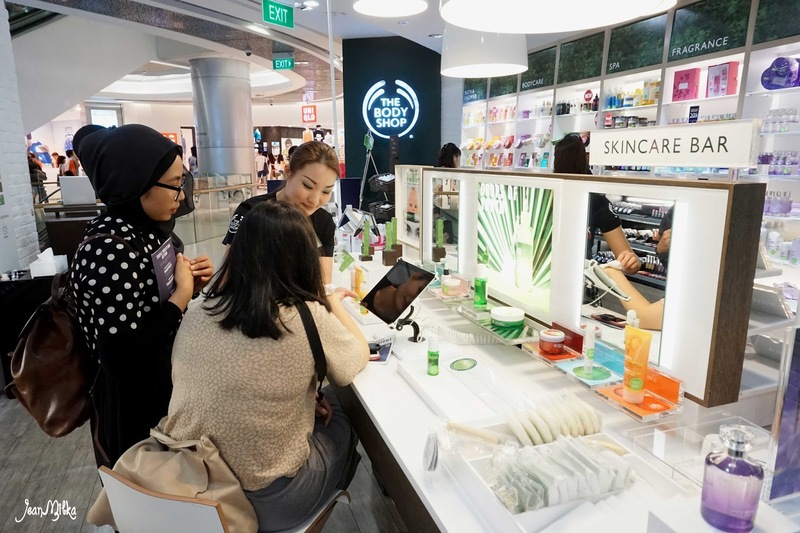 After our fun tour to The Body Shop Asia Pacific office, we made our move to The Body Shop flagship store at Ion Orchard. Accompanied by Drew, The Body Shop Asia Pacific Assistant Communication Manager, we were introduce to the new concept of The Body Shop store. 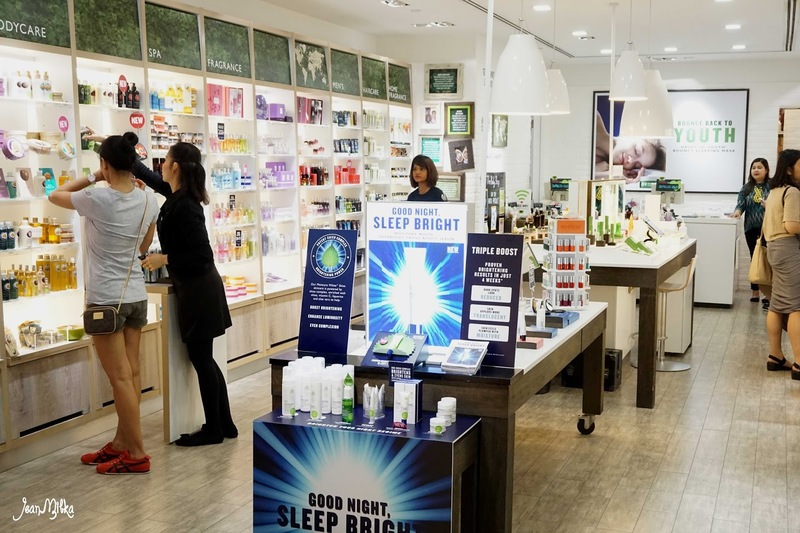 The new concept of The Body Shop store is the Skincare and Bodycare bar. 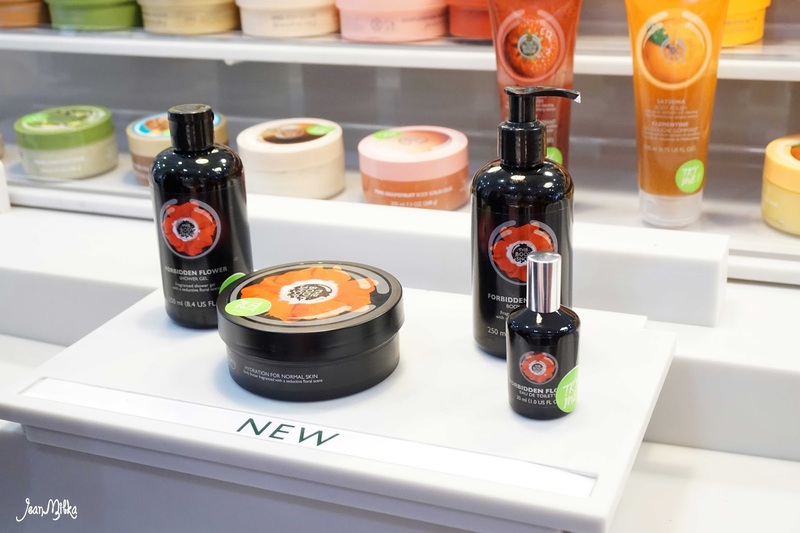 The Body Shop will provide you with in-store experience for their body and skincare product. I really like this new concept. I know that not all of us understand our skin very well. Most of us even didn't understand our skin type, is it oily, normal, dry, or combination. 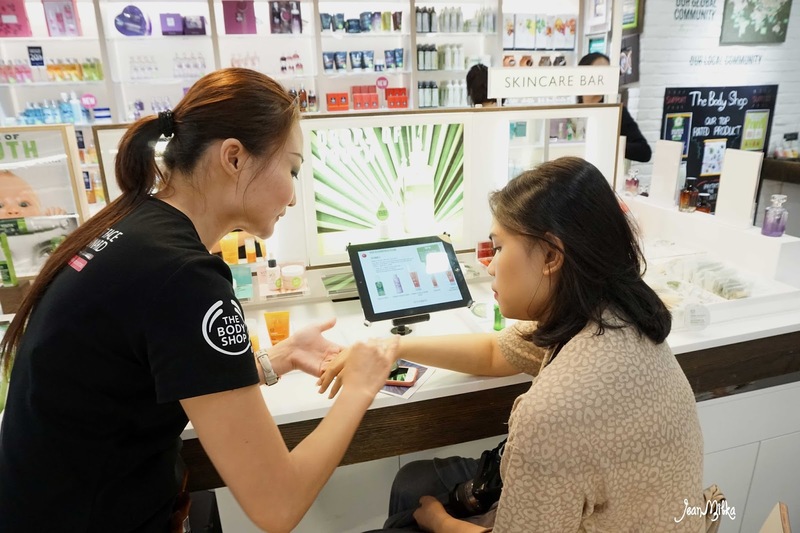 In their skincare bar, The Body Shop provide consultation and solution for your skin problems. It is very important to understand your skin, so you know how to treat it well. 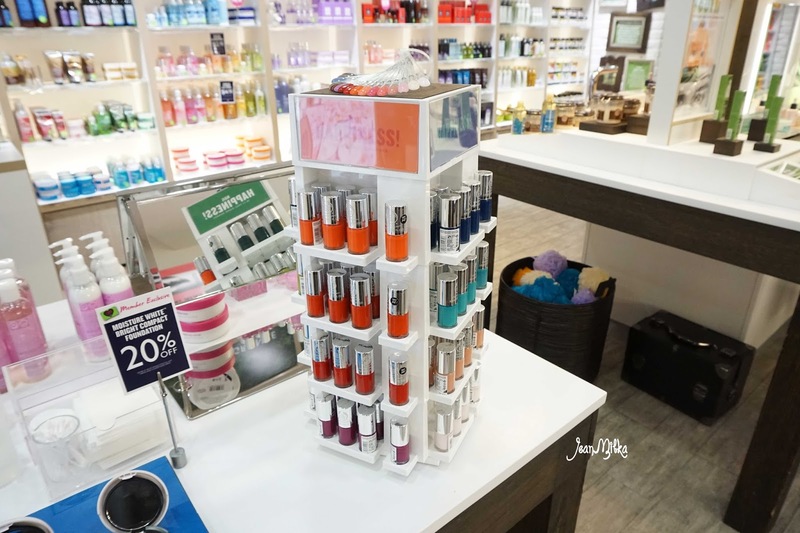 At the other side of the skincare bar, they have bodycare bar. As you can see from the picture bellow the products were arrange according to the product type (indulge, moisture, and scrub) and scents (moringa, strawberry, vanilla, etc). 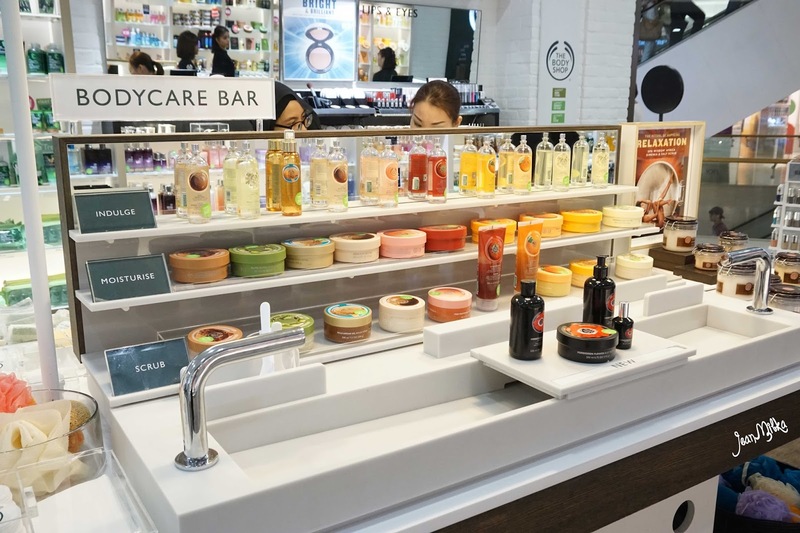 Body Shop provides a special sink that's lodged to the body care bar, so visitors could sample their body scrub whenever they feel like it. I am anticipating this one - Lip & Cheek Stain, look at how cute is the packaging? 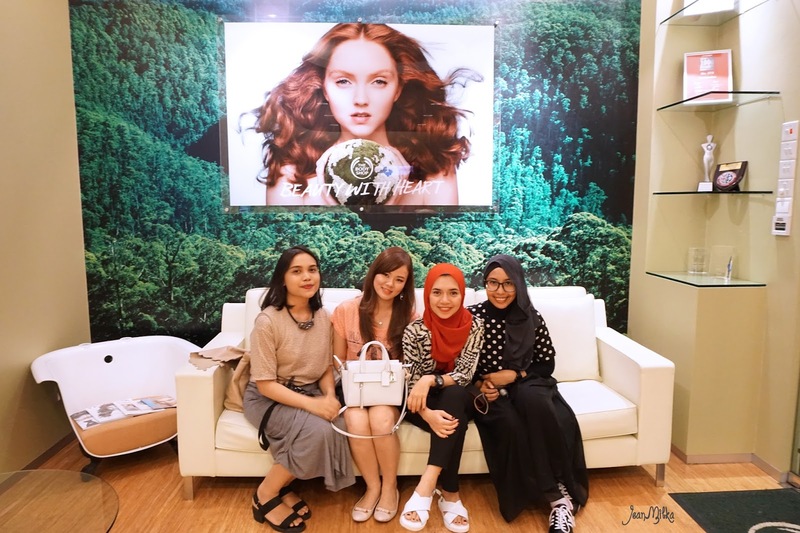 4 komentar on "Beauty Trip with The Body Shop to Singapore - First Day (Part I)"